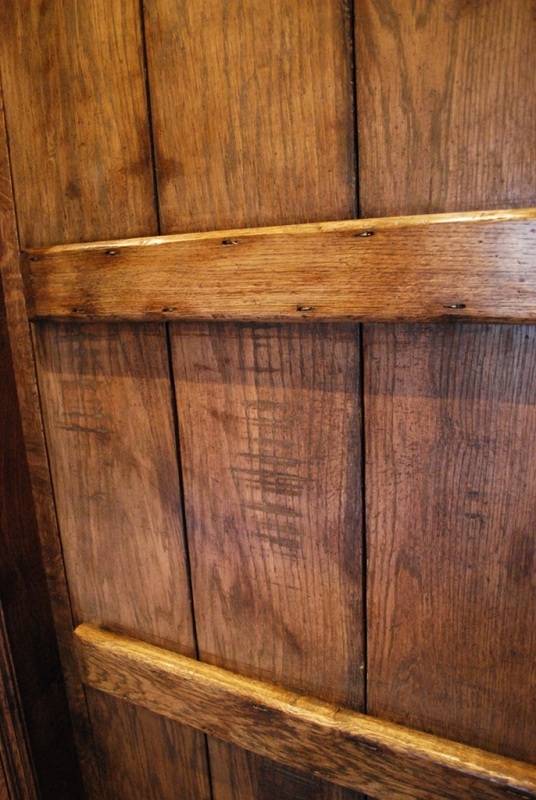 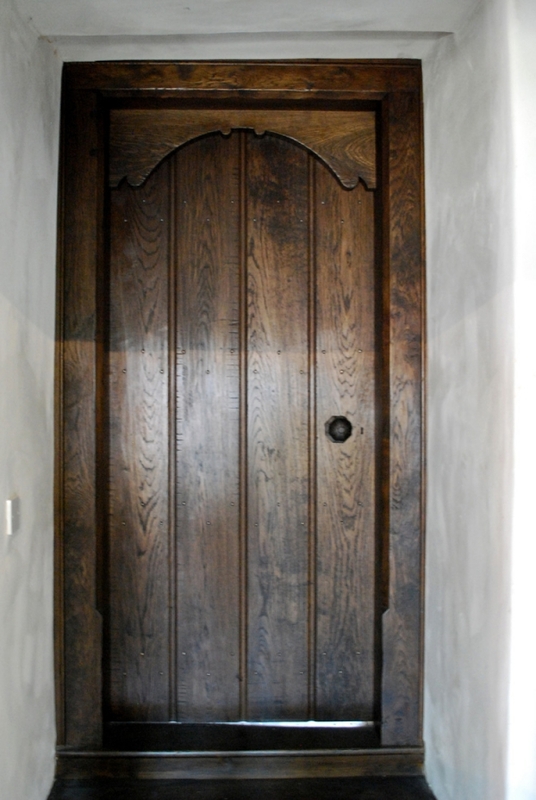 Character oak was used throughout to create these solid oak boarded doors, frames and architraves. 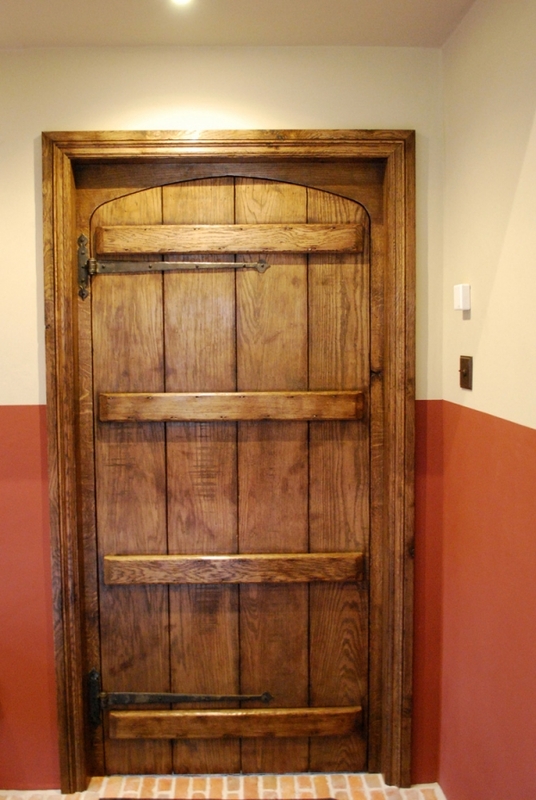 Working with the client to produce doors of varying sizes and styles paired with heavy sectioned frames (some with hand carved spandrels). 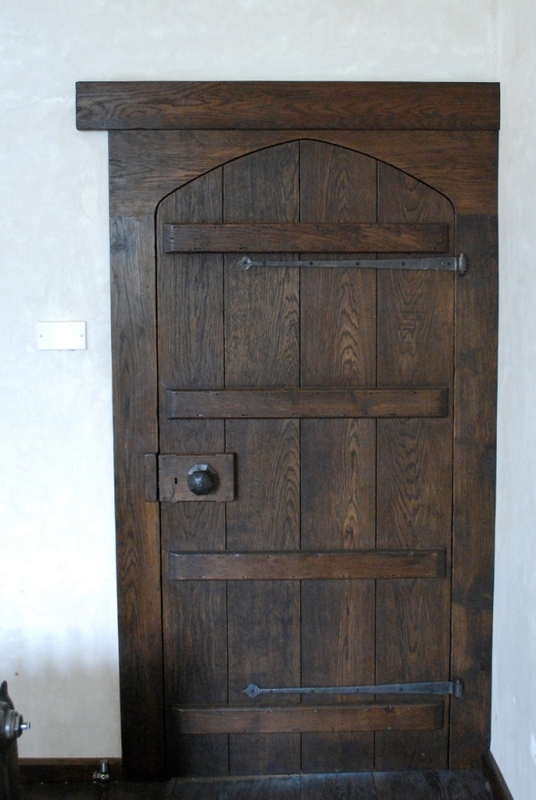 The oak doors and frames were aged and coloured in our workshop before being fitted by ourselves. 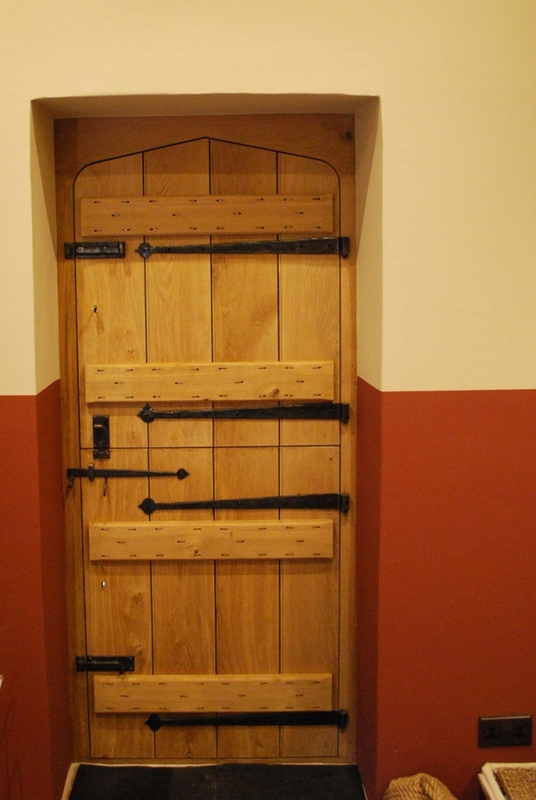 Some pieces of the ironmongery were hand forged by a local blacksmith, Michael Hart. 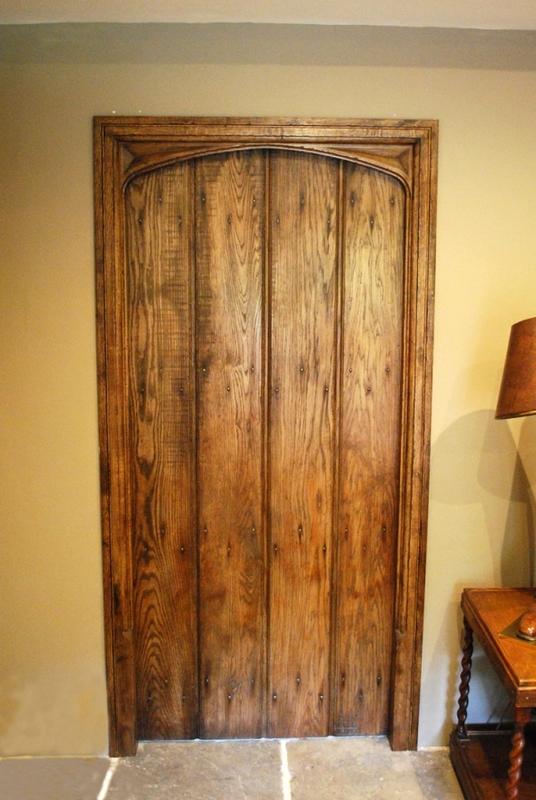 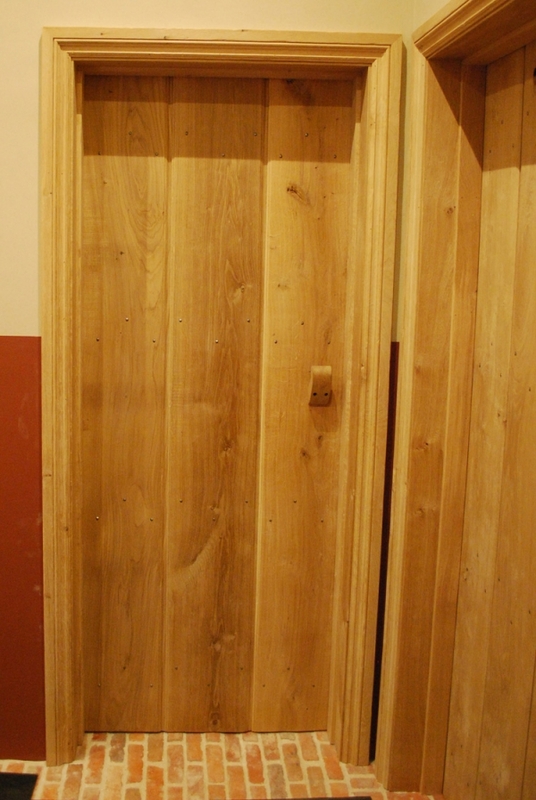 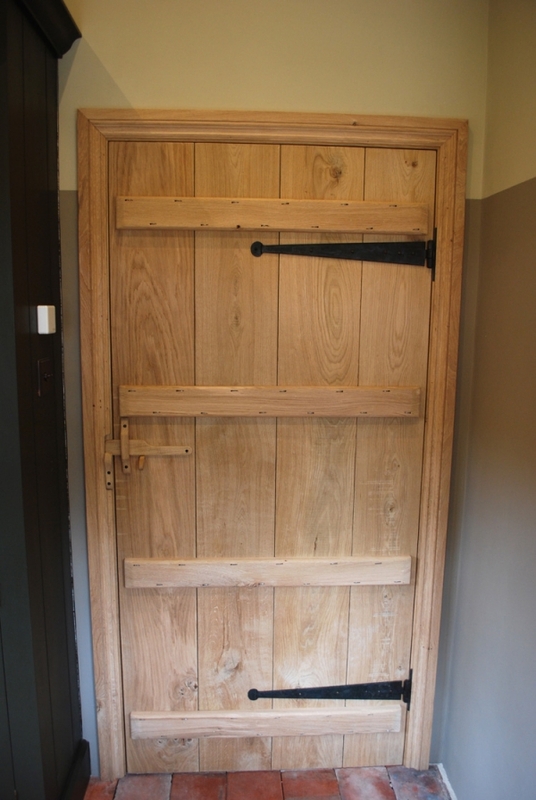 These handmade oak doors and frames would work as well as cottage doors as they do in a larger property.